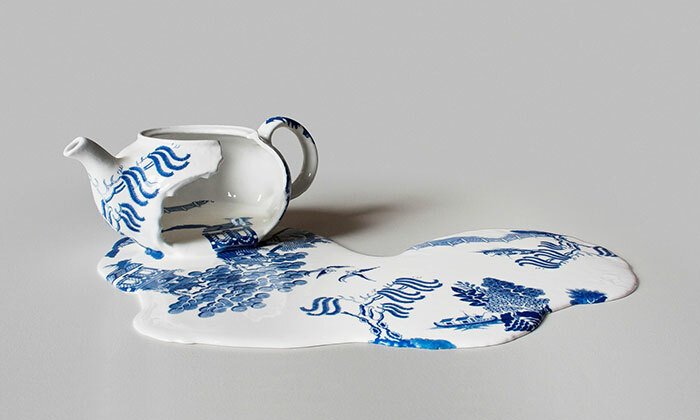 In what looks like a fun play on Salvador Dali’s melting clocks, London-based Chilean artist Livia Marin has created interesting classic porcelain China pieces that seem to have melted and pooled on a hot summer day. 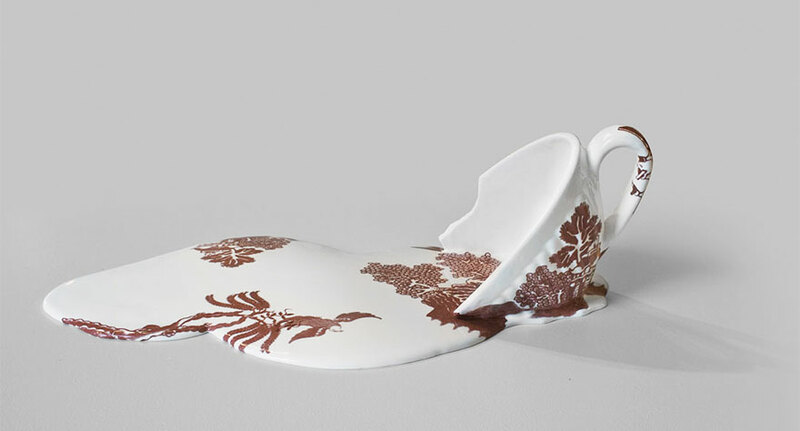 The melting porcelain pieces from her “Nomad Patterns” and “Broken Things” series are unsettling because what’s left of the pots, kettles and cups looks like the solid objects we’re used to, while the puddle of “melted” porcelain look like vanilla ice-cream that has been left out in the sun too long. 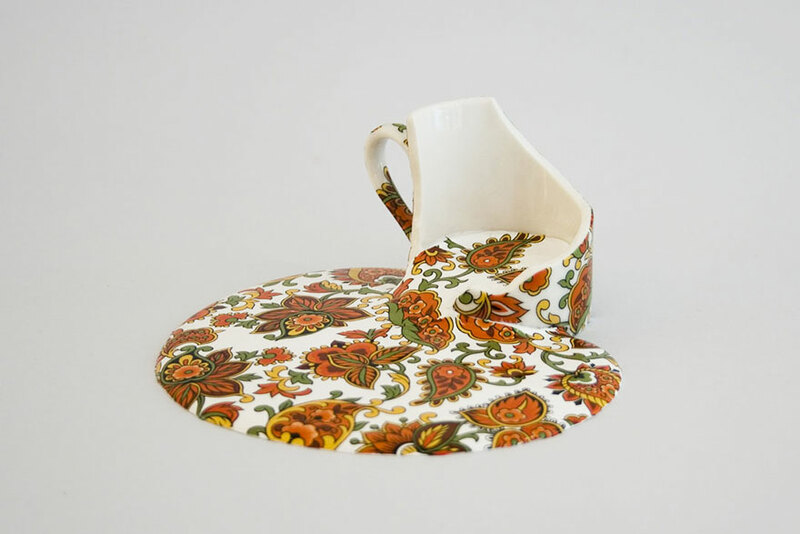 Marin is not the only artist we’ve covered that has taken classic porcelain, something most of us might consider to be our grandparents’ art, and done something new and innovative with it. 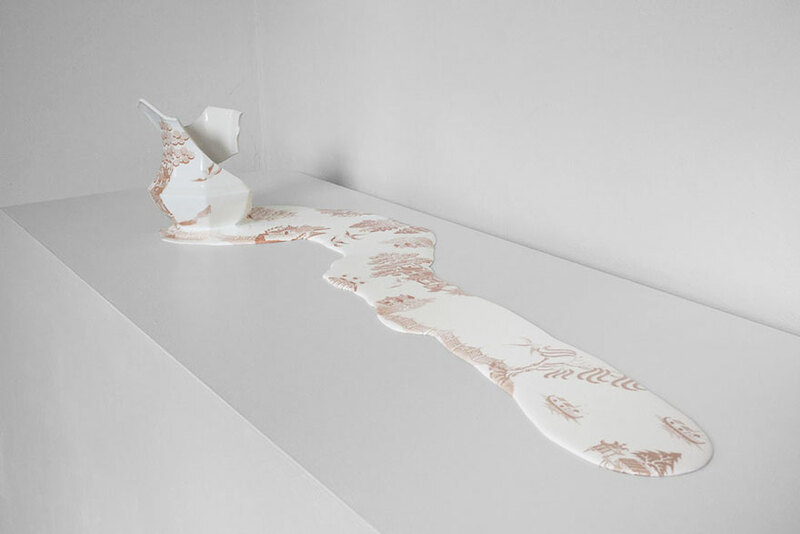 Evelyn Bracklow created classic antique porcelain pieces crawling with ants, and Johnson Tsang is hard at work creating living ceramic art for a more modern audience.